Does Compassion Serves You Better Than Self-Interest? Can compassion be good for the bottom line? 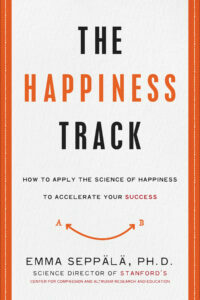 According to Emma Seppälä, author of The Happiness Track, the answer is a clear yes. In the following excerpt from the book, Seppälä tells the story of someone who used compassion to his competitive advantage. Drake is a happy, generous, and other-focused person. He is always interested in helping others whenever he can. He and his wife support a number of causes focused on improving the lives of children around the world who are at risk because of the poverty and violence that surround them. Kindness pervades his life. So when Drake joined Bear Stearns, he was shocked by how the other managing directors mistreated the junior bankers — analysts, associates, and vice presidents. They had only their own best interest in mind and worked the junior staff into the ground — even abusively. For example, they would insist — after returning from a weekend in the Hamptons — that their staff go to work at 11 p.m. on Sunday evening and finish up a presentation or report by the next morning, even though it was not due to the client for days. The staff was then expected to work through the rest of the next day. In addition to competing for bonuses and clients, the managing directors at Bear Stearns had to compete to get the firm’s best junior bankers to join their projects. The junior bankers knew that their lives were going to be hellish no matter whom they worked for, so they tended to align themselves with managing directors who had a track record of earning the biggest deals so that they could get larger bonuses. When Drake first joined Bear Stearns, the junior bankers didn’t know him and had no reason to join his team. Drake was determined to stick to his values despite the self-interested culture that reigned. He treated the junior bankers with compassion and respect and gave them opportunities they would not have dreamed possible. For example, junior members were seldom, if ever, invited to join a client meeting. Only vice presidents accompanied the managing directors. Drake, however, invited even the lowest-ranking among his staff and gave them important responsibilities. For one deal, Drake had managed to attract just one analyst to work with him. He told her, “I think we have a high probability of winning this deal; I believe that just you and I can get this work done. It means you will have to perform the role of the analyst, associate, and vice president, and you will go pitch this IPO [initial public offering]. You will get a front-row seat to see what it’s like to be a vice president on one of the hottest IPOs of the year.” Not only did he invite the analyst (who would never otherwise have joined a client meeting), but he trained her and gave her the opportunity to present to the client. When this analyst later applied to business school, she did so with experience that far surpassed any of her fellow analysts. Drake put himself in the junior staff’s shoes, understood their challenges and aspirations, and worked with them in a genuine desire to help them grow. As a consequence, he had positive, trusting, and caring interactions with others and built strong interpersonal bonds. Far more powerful and effective than self-interest, compassion helped Drake succeed and maintain his values even in a toxic environment. As Drake’s story shows and research substantiates, compassion is good for the bottom line, it’s great for your relationships, and it inspires lasting loyalty. In addition, compassion significantly boosts your health. treating one another with respect, gratitude, trust and integrity. What is more, research shows that happier employees make for improved collegiality as well as a more congenial workplace. Twitter Another large healthcare study confirmed that a compassionate culture at work not only improved employee well-being and productivity but also improved client health outcomes and satisfaction. In other words, compassion benefits you, your team, and your clients — bringing better results all around. 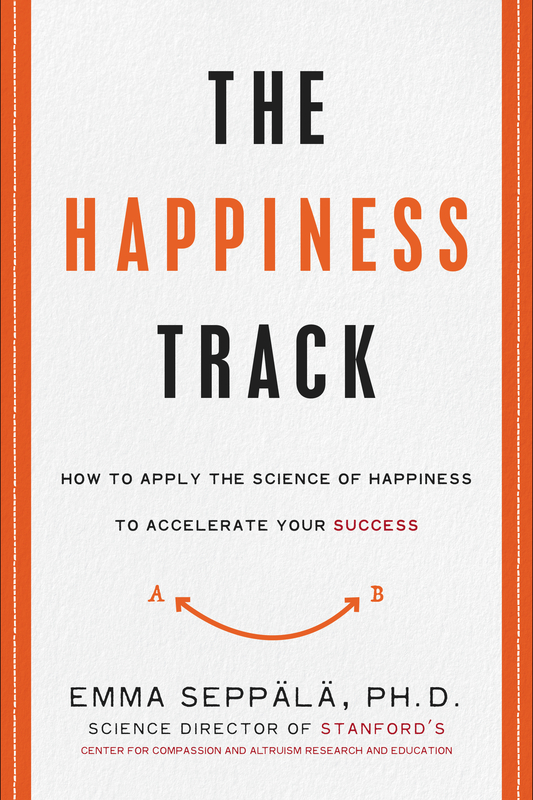 Adapted from THE HAPPINESS TRACK by Emma Seppälä, Ph.D. Copyright © 2016 by Emma Seppälä, Ph.D. Used with permission of HarperOne, an imprint of HarperCollins Publishers. Very interesting. The same approach should be applied to companies, wherever network effects occur. What few realize is that a “winner takes all” mentality is oftentimes bad for the ecosystem. From this perspective monopolies should be understood to stultify innovation and creativity. But more importantly there is a very real problem in the digital networked economy about settlements and price signals between actors. Today’s bill and keep (net neutrality) model fosters monopolies and silos. The result is a series of disconnected islands without the right type of price signals and (dis)incentives to foster ubiquitous and rapid innovation and investment. As well, it contributes to the growing digital divide and information (income) inequality. Is there a reference for the large healthcare study mentioned in the final paragraph?